The Envy is a truly remarkable Hookah that that encompasses detail in the form of a revolutionary designed screw on glass base that is very durable and an air tight screw on shaft, which means no annoying rubber base grommets that are difficult to put on and take off. 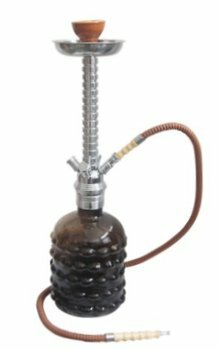 This Hookah utilizes extra large wide gauge adapters and offers a smoking experience similar to that found with traditional Khalil Mamoon brand Hookahs. The Envy Hookah is stored in a retail style box and is ideal for experienced Hookah users and Hookah Lounges. 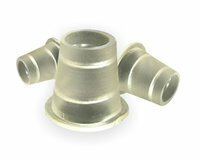 The Envy may be converted to a four hose Hookah by utilizing Extra Large Hose Stem Adapters that contain the auto-seal system. The Auto Seal system eliminates the need to use rubber stoppers and flip caps when there are multiple users smoking the Hookah. This Hookah may be used for both decorative and smoking pleasures, providing entertainment for years to come.